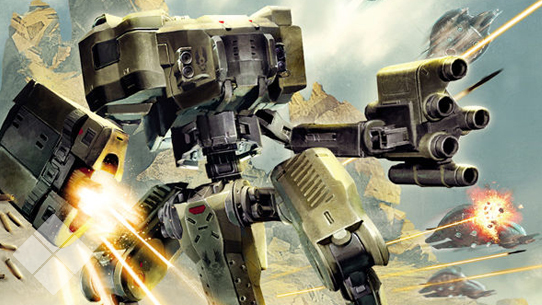 This issue of Canon Fodder was originally published within the 10-16-14 edition of the Halo Bulletin. October 2552 was a pretty tumultuous time for the UNSC, with battles raging on multiple fronts, and the entire Human-Covenant conflict coming to a head. October 20 in particular saw some of the most important moments in the war. It was on this day that the Master Chief, Sergeant Avery Johnson, and Commander Miranda Keyes (standing in place of her father, Captain Jacob Keyes) accepted medals for the events at Alpha Halo, while across the galaxy, the Supreme Commander of the Fleet of Particular Justice, an incredible Sangheili warrior by the name of Thel ‘Vadamee, endured a harsh punishment for his failure to prevent the Sacred Ring’s destruction. Eventually, he is offered the mantle of the Arbiter, an opportunity to right the supposed heresy he’s committed against the Covenant. 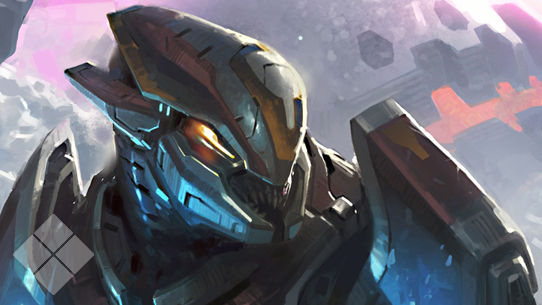 His task is destroying a heretic base near the site of Alpha Halo’s destruction, though it’ll likely cost him his life. These heretics, led by the Sangheili Sesa ‘Refumee, were broadcasting messages claiming that the Prophets have lied to the Covenant and that Halo is actually a weapon. 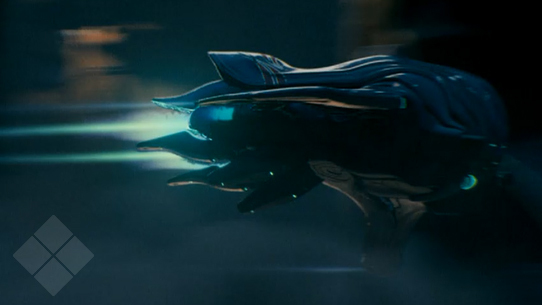 On Earth, the Covenant arrived with a relatively small fleet led by the High Prophet of Regret. Regret had previously and independently determined the location of the Ark’s gateway portal, and hastily made his way (with only fifteen ships) to Earth to excavate it. Not expecting a human resistance, Regret was forced to flee as the Master Chief systematically eliminated every advantage the Covenant had. As Regret’s assault carrier, the Solemn Penance, jumped into slipspace, the Master Chief, Sergeant Johnson, and Commander Keyes followed gave chase aboard the UNSC In Amber Clad. In the wake of Regret’s departure, the city of New Mombasa was left largely destroyed by the slipspace event. At the time of Regret’s departure, a squad of Orbital Drop Shock Troopers had been deployed to the city in an effort to secure a Tier One asset; within New Mombasa’s urban infrastructure AI, a subroutine known as “Vergil” had located a seismic anomaly which appeared to be the source of the Covenant’s interest. Gunnery Sergeant Edward Buck, Corporal Taylor “Dutch” Miles, Private First Class Michael “Mickey” Crespo, Lance Corporal Kojo “Romeo” Agu, their ONI handler, Captain Veronica Dare, and the newest addition, an ODST simply known as the Rookie, all battled through the besieged city of New Mombasa, attempting to locate each other in the chaos which followed the Solemn Penance’s departure. The High Prophet of Truth, realizing that Regret had made an egregious error by assaulting Earth with only a handful of ships, had already dispatched a Jiralhanae-commanded support fleet which would arrive on October 21st. The ODST squad led by Edward Buck and Veronica Dare managed to safely secure and extract “Vergil” within the memory cells of a Covenant Huragok named Quick to Adjust. Despite their lack of intel on the nature of the Ark gateway portal, the Covenant still begin the excavation measures. Stay with us next week, as we take a closer look into the deceit and betrayal that would cripple an empire.